Ryan Johnston is Head of Art at the Australian War Memorial. Previously he was Acting Director of the Shepparton Art Museum, where he oversaw a major redevelopment of the Museum and its subsequent relaunch. Ryan has also worked as a Lecturer in the School of Creative Arts at the University of Melbourne. He is currently finalising his Ph.D dissertation on the Scottish artist Eduardo Paolozzi, also at the University of Melbourne. His research has been published in local and international journals, and recognised with several grants and awards including a Yale University Fellowship. 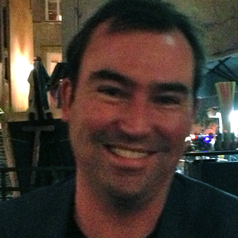 Ryan was also a founding editor of e-maj, Australia’s first online refereed journal of art history, and is a current board member of Canberra Contemporary Art Space.